Maharana Kumbha of Mewar, who was the preceptor of Medieval Indian Renaissance, built his greatest monument, the Kirttishambha in the fort of Chittorgadh (Rajasthan) between 1440 and 1460 A.D. It is generally known by the misnomer 'VijayaStambha' (The Tower of Victory), though it was not built to commemorate a military event. The author has examined here the fundamental question: what was the 'idea' which led to its incarnation in such a beautiful 'form', under such headings as 'Mahameru', 'Vedic Skambha', 'Trailokya-Mahameru', and Garuda and Janardana Dhvaja-Stambha; enumerated the classical background of this thought and philosophy; and traced the various stages of its development, and representation thereof in stone. It has been architecturally studied and the sculptures of Hindu gods and goddesses which make it an 'Illustrated Dictionary of Hindu Mythology' and a unique work on medieval Iconography, as much as on Architecture, have been identified. Texts and translations of epigraphs including the Kirttistambha-Prasasti (which was carved on four stone-slabs); colophon-prasastis of his literary works; and Vastu-texts on Kirttistambhas have been given in 12 appendices. The text is adequately illustrated by 16 figures and 48 b&w plates. Professor R. Nath did his post-graduation in History, Ph.D. and D.Litt. from Agra University and taught at Agra College, Agra and the University of Rajasthan, Jaipur, from where he retired as Professor of History. He is one of the front-ranking art historians of Medieval Indian Architecture. Though he specialized in Mughal Architecture, on which he has authored a five volume series: History of Mughal Architecture, he has also written extensively on ancient architecture of India as it developed during the Medieval ages. His series on the Antiquities of Chittorgadh is the most notable, of which Chittorgadh Kirttistambha of Maharana Kumbha is the core and the most important work. He has authored 50 books, 12 monographs, 156 research-papers and 250 popular articles and he is a prolific and versatile writer. He has finally settled down at Agra, his home town. This is a historical study of the Kirttistambha, which Maharana kumbha (Kumbhakarna) of Mewar (1433-68 A.D.) built in Chittorgadh Fort between 1440 and 1460. 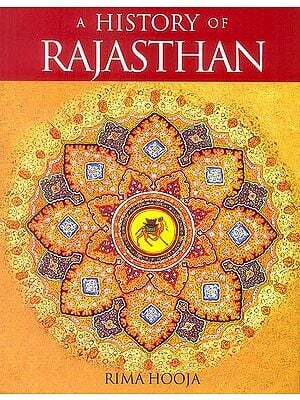 It was not only one of the strongest forts of Rajasthan, and for that matter, of Northern India, but also one of the most important seats of religion, of Jainism, Saivism and Vaisnavism alike, since ancient times. Nagari (ancient Madhyamika) near it, for example, was one of the three centres (along with Mathura and Vidisha) of the worship of Krsna-Vasudeva in the earliest ages of Vaisnavism (c. 2nd century B.C. to 6th century A.D.). It was visited by such luminaries of Indian history as Bhoja Amoghavarsa Pratihara entitled 'Adivaraha' (last quarter of 9th century A.D.), Bhoja paramara of Dhar (1018-54 A.D.) and Kumarapala Solanki of Gujarat (1142-73 A.D.), who also left here their memorials in stone, and beginning with the relics of the Gupta age, it has more than a hundred temples; kundas (with icons of gods and goddesses) and other structures; its is really a continuous unbroken history of nearly two millennia, not only of battles of 'Saurya' and sacrifice, but also of marvelous works of architecture and sculpture. It was, obviously, owing to this cultural significance that Kumbha too decided to build his greatest monument, viz. the Kirttistambha, in the fort of Chittorgadh. 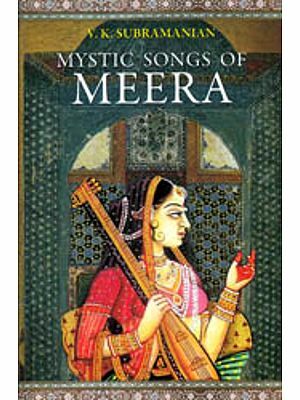 Its Chapter 1 introduces Kumbha, the 'Adivaraha', and deals with his classical works as the Rasika-Priya and the Sangita-Raja. Vastu-texts which were compiled under his patronage or by his inspiration have been discussed in chapter 2, Just to give an appraisal of the theory which prepared a solid bedrock for his architectural projects. It is a 'Vijaya-Stambha' (The Tower of Victory) and was it built to commemorate a military event? If not a mundane memorial, what was the 'idea', which led to its incarnation in such a beautiful form? This was a fundamental question of this study and it has been examined, in full details, in the following chapters under such heading as 'Mahameru-Kirttistambha'; 'Vedic Skambha and Trailokya-Mahagrha'; 'Garuda and Janardana Dhvaja-Stambha'; and 'The Precursor: Jaina Kirttistambha'; and an attempt has been made to enumerate the classical background of this though and philosophy and to trace various stages of its development and representation thereof in wood or stone. This was, in fact, the primary subject of this study. Views of different scholars and art-historians who have written on the subject have been discussed. Unfortunately, the Kirttistambha has been understood a little and misunderstood a lot. It is not a Tower of Victory as V.A. Smith, for example, designated it and it was NOT built "to commemorate the military success of a local cheftain" as he commented on its raison d'etre without understanding the 'idea' which went into the making of its 'form'. Impressed by the latter, i.e. its physical appearance which he could perceive, he noted in inimitable English which is an oftquoted quote: "(it) is covered from top to bottom, inside and out, with an infinite multitude of images, representing so far as may be, all the denizens of the Hindu pantheon, with their names attached add constituting an 'Illustrated Dictionary fo Hindu Mythology'. Besides the effigies of the more ordinary deities, there are images representing the seasons, rivers, weapons and other things as yet unpublished. 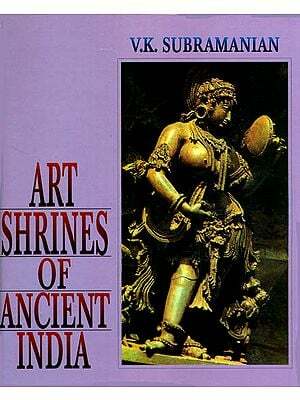 Whenever this series of sculptures shall be reproduced, it will be invaluable as a key to Brahmanical Iconography." He was, thus, amazed at the great number and variety of its sculptures, but he entirely missed the concept of its architecture and religious symbolism which has been studied here in full details. It is not only a wonderful work of architecture and sculpture, but also a great relic symbolizing, in stone, a great 'thought' that initiated the revival and restoration of Hindu religion and culture which had suffered serious reverses during the first two centuries of the Muslim rule in India. Islamic polity, as it was introduced and practiced in India, was fanatically iconoclastic, almost to the point of barbarism, and it sought to destroy the religion, art and culture of the vanquished people and convert them to a 7th century A.D. semi-savage, extremely impoverished, desert life-style. But the 'Fire-and-Sword' did not succeed here, as it had done everywhere else, and Hinduism, the great Banyan tree as it is, with its roots deep in the soil and spatial vastness, could not be uprooted. Islam could not overrun it and as soon as it lost its political umbrella, Indian intellectualism re-asserted itself in full force. The disintegration of the Delhi Sultanate soon followed the invasion of Timur in 1398, and the vacuum provided a much-needed respite to the people. 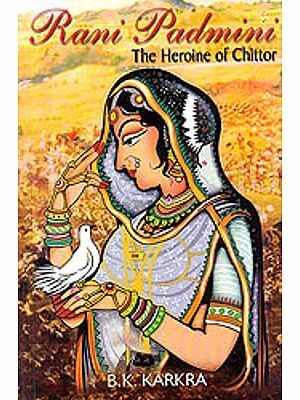 A great intellectual activity, similar to the one which took place after Asoka, in the age of the Sungas when the Mahabharata was compiled, similar to the one which took place after the Sakas and the Kusanas, in the age of the Sungas when the Mahabharata was compiled; similar to the one which took place after the Sakas and the Kusanas, in the age of the Guptas when the Puranas and other Brahmanical texts were compiled and temples were built; and similar to the one which took place in the 8th century under Sankaracarya, took over the scene and Kumbha, the Adivaraha, initiated a movement to restore the Vedic order of things and re-establish the 'Dharma', through his measures in Literature and Fine Arts, i.e. the Book and the Stone, the two vehicles of culture. He was the Preceptor of Medieval Indian Renaissance in the right earnest. This is, thus, essentially a study of Medieval Indian History and Culture. It must be borne in mind that 'Architecture' cannot be studied in isolation, and it is only in the context of the Land, the People and the Culture that it can be understood correctly. This is Vol. III of the 3-vol Series: Antiquities of Chittorgadh, the first volume of which was published in 1984 and the second on the Jaina Kirttistambha of Chittorgadh (c.1300 A.D.) in 1994. Each one is an independent work. 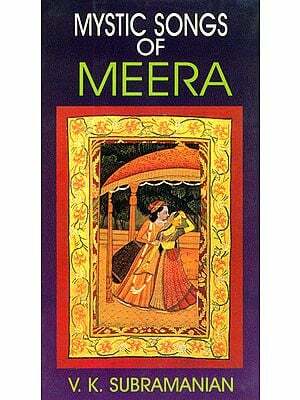 I began this study in 1977 when I was at Gwalior. The subject was greatly fascinating and I stayed in the Chittorgadh Fort for weeks together, and visited it in all corners and at all moments, to be able to make its in-depth study in-situ, to gather its loose strings and weave them into a tangible pattern. This was slowed down after I shifted to Jaipur, but it went on side by side with other writing projects. The ideas gradually developed and, ultimately, it was in 1992, after several hand-written drafts, that I was able to give final touches to this great work, which has taken almost 15 years time. Perhaps, I did not devote so much though, time and labour to any other work and, perhaps, it is because of this that I hold this monograph in the highest esteem. Attempt has been made to use all available primary sources of this subject: epigraphs; Kirttistambha-Prasasti (a corrected and edited text of which along with an English translation is being published herewith, the translation for the first time) and colorphon-prasastis of his literary works; Sanskrit works of Kumbha and his contemporaries; Jaina religious literature; and Medieval Persian chronicles, but this is essentially based on an in-situ study of the architecture of the Kirtti-Stambha. I thank my eldest daughter Dr. (Mrs.) Veena Goyal for her valuable assistance in interpreting Sanskrit texts; my second daughter Dr. (Mrs.) Neelima for assistance in the study of its Iconography on which subject she has done her Ph.D., and drawings; my third daughter Sandhya Agrawal for assistance in photographic, drawing and art-work; and my son Ajay Nath for the general management of this study, both indoor and outdoor. I also thank Mr. Shakti Malik of Abhinav publications, New Delhi, for publishing it in such a nice format. The book is dedicated with profound regards to Professor Pramod Chandra.